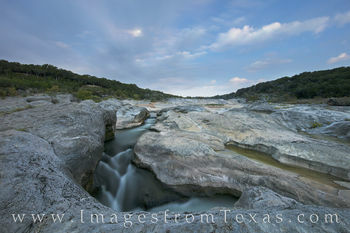 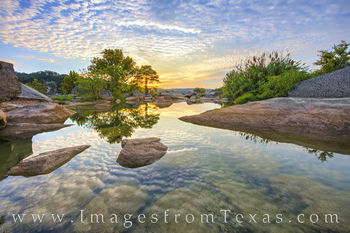 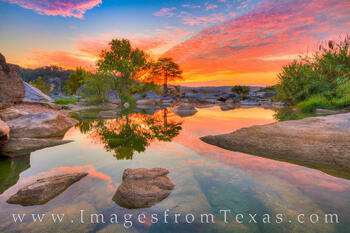 Located between Austin and Johnson City, Pedernales Falls State Park is a gem in the beautiful Texas Hill Country. 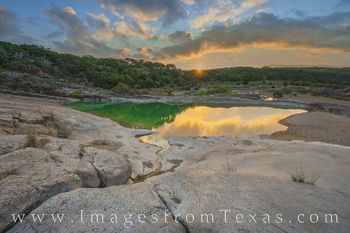 This gallery of images and photos contains my favorites from the last several years and shows off the park in all times and seasons. 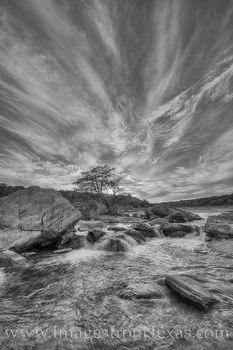 Digital Files from this gallery are available for licensing and prints are available on many surfaces including metallic paper, canvas, metal, and true black and white paper. 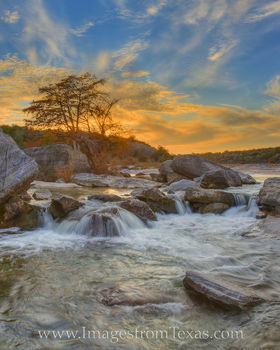 This little state park only covers 5.2 acres of rugged Texas landscape, but the land it does encompass rests along the Pedernales River and provides great trails on which to hike, bird-watch, swim, horseback ride, and enjoy nature. 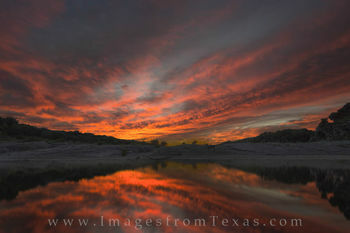 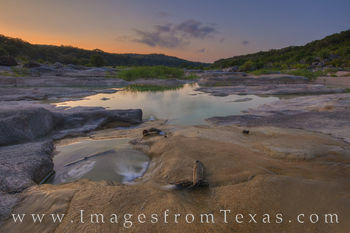 Before being purchased by the state of Texas in 1971, Pedernales Falls was the Circle Bar Ranch. 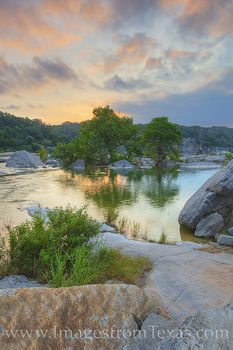 It became a state park and opened to the public in 1971. 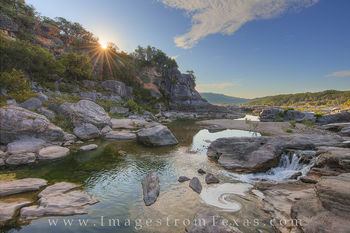 Any time of year is a good time to explore here except for possibly the mid-day heat of July and August. 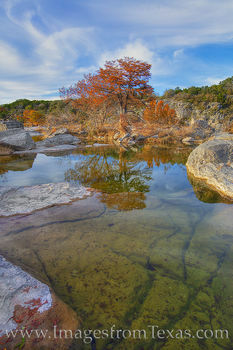 Spring is wonderful when the prickly pear cacti bloom, and Autumn colors along the river can be amazing when the cypress leaves turn bright orange and red in mid-November. 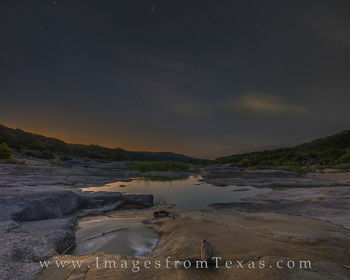 The nights can be quite stunning as well if you like to stargaze. 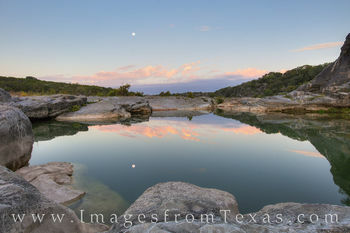 On clear evenings after sunset or before sunrise, the Milky Way shines as it traverses the sky over limestone and granite canyons. 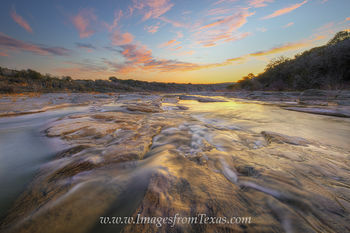 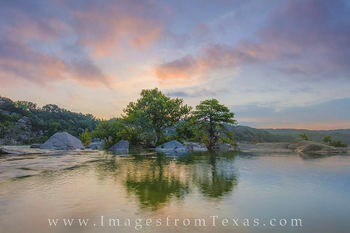 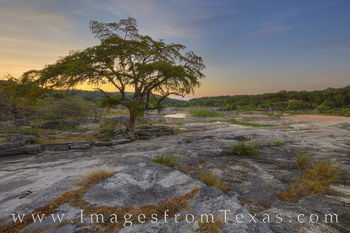 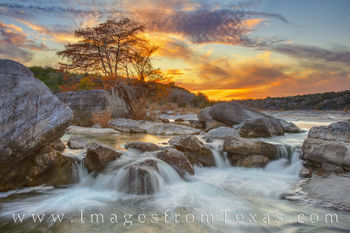 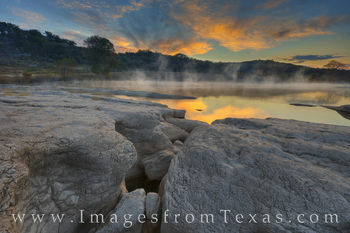 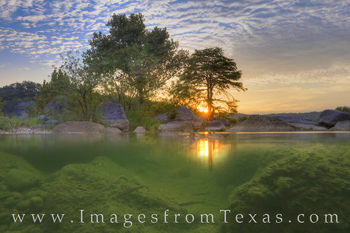 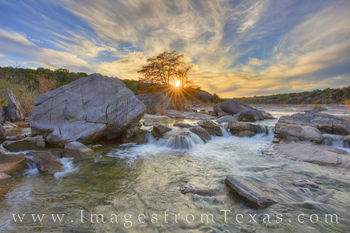 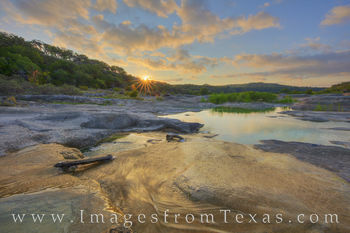 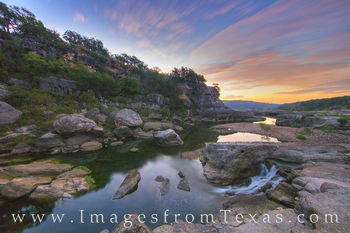 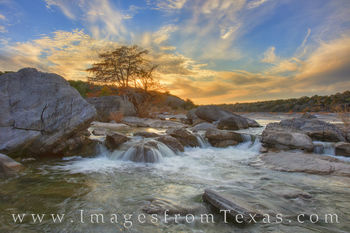 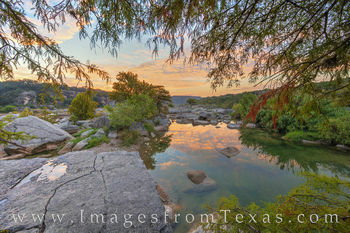 I live fairly close to Pedernales Falls, and I often find myself enjoying sunrise out here, and even on weekends I’ll usually have the river basin all to myself.